« Sunday Post: I Removed the Tire Chains Too Early! Okay, so you’ve been riding a lot, and have one or two bikes now. Are you getting tired of going to your LBS for every little tweak of your handlebar position and figuring out what is clicking? It sounds like you need to build yourself a bike repair tool kit. Now, we’re not talking about something like Park Tool’s MK-195 Master Mechanic Tool Kit that costs $4k; heck my last bike didn’t even cost that much. All you need is the basics that would allow you to rebuild your bike if the need ever arises. Having a kit like this is a lot less expensive than you thought, and it allows you to not betray your LBS by allowing them to make use of their expensive, fancy tools like a headset cup press or serious wheel truing device. First and foremost is the tool box itself. You’re going to need one that is a little bit bigger than the first tool box you got while you still were in public school, but nothing flashy or ornate. Something like this is perfect. Well, but what about the tools you need for your bike? I found the best way to determine what tools I needed was to look through Lennard Zinn’s bike repair book, and compare it to what tools I already own in order to not overlap on anything. Getting the book will also help with troubleshooting or building a bike. In his book, there are three types of tool kits. He calls them by levels, and the second configuration is a pretty good idea on what to start out with. This tool kit listed below is an amalgamation of what is needed for a modern and classic style bike. I’ll start off with the basics, since most of you have these items at home already. Metric Hex Key Set – This might just be the most important thing you can own. Park Tool AWS-8 – 3 Way Hex Wrench 4mm, 5mm, and 6mm – These are the most common size of bolts and screws that will need your attention on your bike. Very handy, but not necessary. Small 8oz Hammer – Metal or Rubber will suffice. Sometimes you will just need to whack something with it to get it into place. 6″ 150mm Adjustable Crescent Wrench – This will allow you to do many things on your bike than just adjust nuts. Slip Joint Wrench – This is another generic tool that is great to have in order to get a steady hold on things. 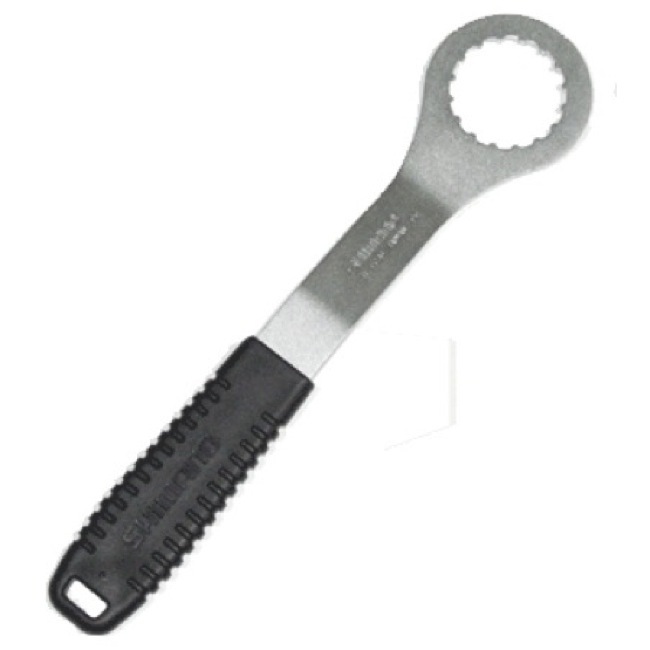 T25 Torx Wrench – While this is more of a specialized tool specifically for mountain bikes, many basic tool kits do have a T25 bit or Torx set included. Phillips and Flathead Screwdrivers – Make sure the heads are properly sized with what you are working on the bike. Flat 10″ File – Great for tons of little things that you won’t know you need it for until you do need it. Box Cutter – You want to get to those new components you got in the mail as fast as possible, don’t you? Just Kidding. There are practical applications for this tool. Small Round or Three Sided File – For getting to bits that the large file will not. Exacto Knife – Great for cutting electrical tape. Pliers with Wire Stripper – Another great tool for having a leverage point when dealing with certain items. Generic Wire Cutters – To remove old housing or cables from the bike without having to pull out the good, bike specific pair. Metric Measuring Tape – How else will you know that your inseam is 84cm? Any Small Flashlight – Sometimes needed to look down the seat tube, especially needed to easily calibrate disc brakes. Sharpie Markers – Writing things down, labeling parts, and other uses. Multi-Tip Screwdriver – If you are fiddling with several small things, sometimes it is easier to change the tip than grab another screwdriver. Also a lifesaver if for some odd reason you need two screwdrivers of the same type as once. Open Ended Wrenches and Cone/Pedal Wrenches – There’s a big need for cone wrenches in a bike repair tool kit, since not all bolts or nuts are as thick as your standard open ended wrench. Never hurts to have both. Pedal Wrench – Here is the one important exceptionality. The pedal wrench is needed, since it takes quite a bit of muscle to either install or remove a pedal (especially if it is seized) The 15mm Pedal Wrench is thicker than a cone wrench and just a bit longer to give you a better leverage point. Make sure you have one of these. More General Tools and Goops/Adhesives. Socket Wrenches – I have not seen much need for these, but my tool kit is the primary place to stash all of my tools, so why not? If you need any specific ones, I would suggest the 8mm, 9mm, and 10mm. Park Tool even makes a special ST-3 tool just for these three sizes. Goops/Adhesives – Your bike is a machine with a lot of moving parts; parts that need to be protected from weather or other metals to prevent galvanizing, rusting, or excessive wear. Marine/Outboard Motor Grease – If it is made to protect things in the high seas, it can protect things on your bicycle. – All of the little screwdrivers are to have a way to apply the grease to small areas without getting my fingers messy! Two Part Resin Mix – Just pray you won’t have to use this, but it is great for covering over scratches in carbon from laying your bike down in a spill> I also say it is great for saddle repair if you have ever torn the edges of your seat. Anti-Seize Compound – Park Tool ASC-1 says: “…reduces friction in threaded and press fit connections…”, “protects parts from corrosion and rust under the most extreme conditions.” Sounds good to me! Electrical Tape – It’s like the Duct Tape of the cycling world! Bike Specific Tools – These are the only tools specially made for bicycles that I own for fixing/adding/removing parts on my bikes. Not a whole lot, huh? Cartridge BB tool – Need to remove bottom Bracket from an older style bike? This is what you need. If you have an external cup bottom bracket, more than likely you will not need this. Cotterless Crank Remover – This tool is used for MTB’s and older bikes. You may not need this on a road bike. External Cup BB Tool – This is needed if you have an external cup BB (most these days). Try to find one that totally encompasses the entire bottom bracket to engage with every tooth. Shimano/SRAM Cassette Lockring Remover – Removes the lockring from your rear wheel’s cassette in order to perform any maintenance. MLP-1 Part Tool Master Link Plier – My LBS says this tool is not needed, and a pair of needle nose pliers work great, but I love this tool for master links such as the ones found on KMC/Wipperman/SRAM chains! DT-2 Park Tool Rotor Truing Fork – This tool is only needed for disc brakes, and makes adjusting the rotors a cinch! Chainring Nut Wrench If you ever need to change out a chainring for another, this tool is handy for holding the bolt still while you use an allen key on the other side. Not necessary on all chainring bolts. Single Speed Chain RiveterI use this on children’s bikes or anything under a 7-spd chain. 9/10 spd Chain Riveter To remove a pin from a 7-10spd chain, use this. Generic Spoke Wrench – helps true or retension spokes. I don’t use mine, since I am not knowledgeable enough to attempt this yet. Tire Levers – Having trouble removing your clincher tire? Don’t use your screwdriver, just get a couple of these! You can never have enough of them. Wrench Force Shock Pump – This tool is used to adjust the air pressure in suspension forks or rear suspension pieces on MTB’s. If you have an older bike, make sure you get some Headset Wrenches. They’re huge open ended wrenches meant just for threaded headsets. Freewheel Remover – Once again, if you have an older bike with a freewheel cassette instead of a splined cassette, get one of these. If you shop wisely I’m sure you could get all of these tools for $150-200, depending on where you get them. You don’t have to start out big. Just buy piece per piece when you need them, or anticipate something that you want to do. Remember, if you have a couple thousand dollars of bikes in your possession, you better be able to work on them! I’d advise putting the bike-specific stuff at the top since those are the weird tools most people don’t already have, and focusing less on the sockets. Level 1: hex wrenches, lube, grease, and tenacious oil. tire lever, patch kit, pump. Thank you for taking the time to post this I found it to be helpful. What would have made my sock roll is if you labeled the picture of the tools, a, b, c, and so on then when you wrote your descriptions could the follow a, b, c, and so on. Not all of the tools show are familiar to novices like myself. cheers. I’m really impressed together with your writing skills as well as with the structure on your blog. Is this a paid subject or did you modify it your self? Anyway keep up the nice high quality writing, it’s rare to see a nice blog like this one nowadays.. I would like to share some bike repair videos that can be helpful. Feel more than free to use my about page to find how to contact me. If they’re quality, I’ll be more than happy to post. uh maybe put the most basic tools? Thank you for taking time to write the post, I am in the process of buying a tool set for my bike and this has has been a great source of reference. Great Collection of tools. I’m really impressed together with your writing skills as well as with the structure on your blog. Thank You for sharing this blog.